Novak Djokovic believes Serena Williams was harshly penalised by umpire Carlos Ramos in the women's US Open final, but does not agree with the suggestion there are double standards regarding how male and female players are treated. 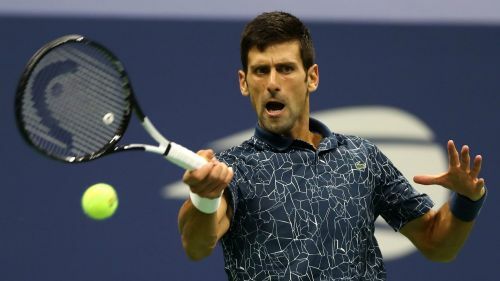 After claiming the men's singles title at Flushing Meadows with a straight-sets win over Juan Martin Del Potro, Djokovic was asked for his opinion on Williams' remarkable row with Ramos during her defeat to Naomi Osaka on Saturday. After receiving three code violations – culminating in a game penalty – from Ramos, Williams alleged she had been the victim of sexism and received support on Sunday from WTA CEO Steve Simon. A statement from Simon read: "The WTA believes that there should be no difference in the standards of tolerance provided to the emotions expressed by men vs. women and is committed to working with the sport to ensure that all players are treated the same. We do not believe that this was done last night." When those comments were put to Djokovic, the Serbian replied: "I am hearing that [for the] first time. I don't understand from where he's coming with that statement. "Look, I love Serena, first of all. I really felt for her. [It was a] tough thing for a chair umpire to deal with, as well. We have to empathise with him. Everyone was in a very awkward situation. A lot of emotions. Serena was crying. Naomi was crying. It was really, really tough. "I have my personal opinion that maybe the chair umpire should not have pushed Serena to the limit, especially in a grand slam final. He did change the course of the match. It was, in my opinion, maybe unnecessary. "But I don't think it's a time and place really to get into other subjects. I don't see things as Mr. Simon does, I really don't. "I think men and women are, you know, treated in this way or the other way depending on the situation. It's hard to generalise things, really. I don't see it's necessary really to debate that."